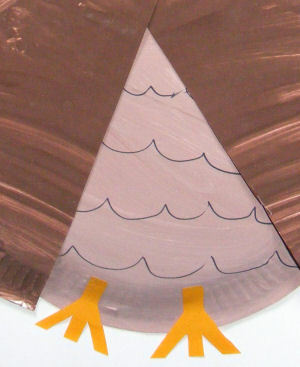 Paint the small paper plate and one of the larger plates dark brown. Paint the second large plate in a light brown. Leave the plates to dry. Cut the large dark brown plate in half. Glue (or staple) the two halves of the plate over the pale plate so they are open to reveal the plate underneath. These are your wings. Now glue (or staple) the small plate at the point where the wings join. This is the head. Cut out two legs and a beak from orange paper. 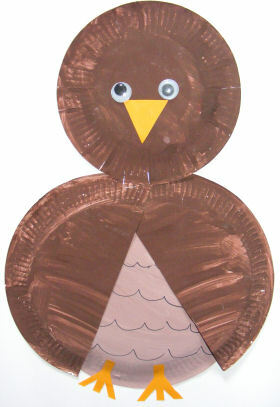 Glue these and the wiggle eyes on to the owl. Your owl is ready to display!